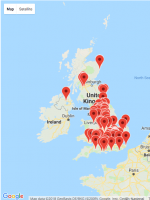 The UK's comprehensive online database of English, Welsh and Scottish companies in administration and administrative receivership. The database is updated every day, and you can opt to have daily email alerts of businesses in administration. There are a number of insolvency practitioners who routinely list distressed businesses in administration directly with us. All this information is available to Business Sale Report subscribers. We list all businesses that have been put into administration or administrative receivership in the UK. The database is updated every day, and you can opt to have daily email alerts of the latest businesses in administration. We update our listing on a daily basis, well before Companies House. We also list businesses with winding-up petitions lodged against them. Winding-up petitions are a great way to spot troubled companies before they become insolvent. We provide daily notifications of businesses that have had winding-up petitions lodged against them. In some cases our subscribers will have been notified up to six weeks in advance of the company becoming insolvent. Click here to see the latest businesses with winding-up petitions lodged against them. There are a number of great businesses that have run into trouble, be it financial or management related; these businesses present wonderful opportunities for those correctly positioned to capitalise on their failings. A business in administration may have assets up for sale at a fraction of their market value as a result of their insolvent status. Click here to see the latest businesses in administration. Additionally, liquidators will often sell a business’ assets at a reduced price. Our subscribers frequently use our information on company liquidations to capitalise on failing competitors, snapping up contracts, client banks and assets from failed rivals. Click here to find out more about liquidations. Many businesses that fall into administration will have associated property assets that may be put up for sale. Our subscribers can filter their searches for property related distressed businesses. We list the total fixed assets of these businesses, high assets are a great indicator that a business has property related assets that might be sold by the administrators. I’m looking to buy a distressed business, how much time do I have? Timing is crucial as administrators may already be in contact with parties interested in the business or assets. Making sure you are aware of distressed businesses as soon as possible is vital. Remember, you’re unlikely to be the only one looking for a particular business or asset. Those that sit back waiting for an opportunity often miss their chance. Many insolvency practitioners use our service. Subscribe with usand register your acquisition criteria to increase your chances of finding the right opportunity. Many of our subscribers use our administration-alert service to source the latest intelligence on failing businesses that have been placed into administration. These businesses provide a great opportunity for those interested in acquiring businesses or related assets at a reduced price. We have a wealth of experience dealing with administrators and have been advising people about buying distressed businesses for years. "We rely on the report for all of the current information on distressed opportunities within the care field. A truly wonderful service!" We update our searchable database daily with the latest English, Welsh and Scottish companies in administration or administrative receivership. Once you subscribe you can sign up for a daily email alert that lists all the companies in administration that we have added to our database on that day. As a subscriber you will have access to the contact details for the insolvency practitioner for all businesses that go into administration. We are also regularly in contact with a number of insolvency practitioners, who list their business with us directly. Companies house data is retrieved for each business that goes into administration. This includes; company appointments, mortgages, last reported turnover, last reported profit, fixed assets and region. We match up the business with the insolvency practitioner's that is handling the business and provide you with full contact details including telephone numbers. As a subscriber you gain access to our guides on how to buy a business out of insolvency , how to buy a business out of administration, and how to profit from buying distressed businesses. From our wide range of news sources and our own research we bring you news of troubled businesses from around the world. Our daily alerts of the latest winding-up petitions is the fastest way creditors or investors can be informed of businesses in difficulty. We provide the company name, company type, last reported fixed assets and the location of its registered office. Full contact details of the administrative receiver/administrator including name, address, telephone and fax numbers. Businesses that have just ceased trading and dissolved the limited company. This is because, by this stage, very little of the business is salvagable with most of the assets being distributed amongst preferential creditors such as the tax authorities, banks, and employees and as such is unlikely to carry on trading. In our database we list all those administrative receiverships where the appointment date is after 1 Jan 1998. Administrative receiverships are not possible under any security instrument created after 15th September 2003, due to the Government's drive to encourage the use of administrations in place of administrative receiverships. Businesses are now most commonly put into administration. For more details on the types of corporate insolvency take a look our quick guide to corporate insolvency. In what circumstances does a company find itself in administration? When a company is facing financial difficulties or has high company debt it can be placed into administration. This means that while the business is in administration the business, affairs and assets of the company are managed by a person ('the administrator') appointed for that purpose. The administrator must be a licensed insolvency practitioner. The Administrator's objective is to rescue the company as a going concern or achieve a better result for the creditors than would be likely if the company were wound up without first being in administration, or if this is not practical realising assets to make a distribution to secured or preferential creditors. This is often achieved by selling the company, or by selling the company's assets. In many instances the company is still trading. The use of prepackaged administrations may occur where an agreement for the sale of the business or assets is put in place prior to administration and the sale occurs at the same time as the insolvent practitioner is appointed. How can a business be placed into administration? A company may be placed into administration: by an order of the court, on application by, the company, its directors, one or more creditors, or, if it is in liquidation, its liquidator; without a court order, by the direct appointment of an administrator by the company, its directors or a creditor who holds comprehensive security of a type which qualifies him to make such an appointment. Administrative Receivers are appointed by a debenture holder usually over all the company's assets. It is likely that the creditor concerned will be a financier or an individual who has loaned the business money. However, as mentioned earlier these cannot be appointed with regard to security instruments entered into after September 2003. The Administrative Receiver's prime responsibility is to protect the interests of the debenture holder and is regarded as a very costly exercise for the business as a whole and the other creditors. Get advance warning of businesses in distress! We are now listing all businesses that have had a winding-up petition lodged against. This represents a vital window of opportunity for an investor to step in prior to the businesses being put into administration or liquidation.